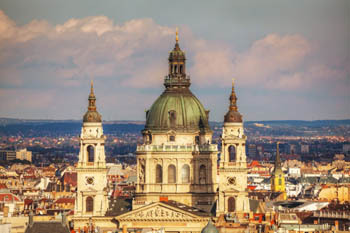 Enjoy the excellent acoustics of St Stephen’s Basilica on an organ concert performed by one of Hungary’s most talented pipe organ players Kolos Kováts. The program includes a flute solo by Eleonóra Krusic a famous Hungarian flute player who regularly performs with other European orchestras. The concerts are held every Thursday at 20.00 from March till the end of December. Concert start at 20:00, and is about 70 minutes long, without break. 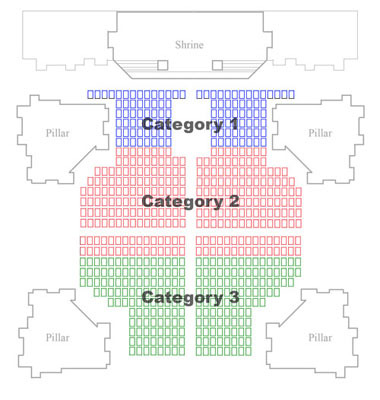 3rd cat: 19 EUR, student: 17 EUR View map of seat categories! 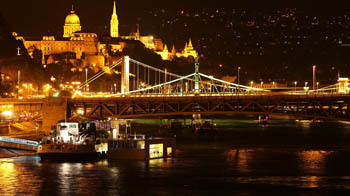 You can also book the concert with a night cruise on the Danube starting at 22.00 at a discounted package price. a 2-hour long sightseeing are all included. 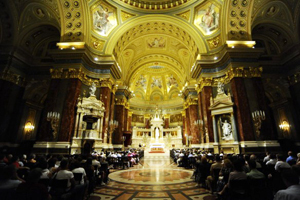 After the concert hostesses will show you to the cruise boat, a short 7-8 minute walk from the Basilica on Szt. István Square. 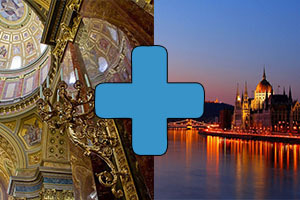 Two wonderful programs in Budapest at a special price! Payment with PayPal or Bank Card, Credit Card! After payment you automatically receive your E-Ticket. Please present it in print form or on your mobile/tablet to our staff at the entrance of the Basilica. 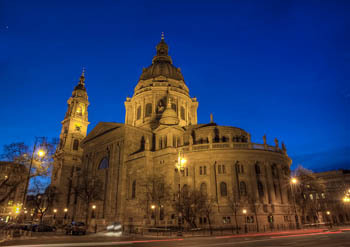 St. Stephen’s Basilica, the largest church and the 2nd tallest building of Budapest, was built between 1851 – 1905. The 96 m high temple can seat nearly 8 000 people. The Neoclassical elements are the works of József Hild archietct. After his death Miklós Ybl reworked the plans in a more flamboyant neo-Renaissance style. Hungary’s most sacred relic the Szent Jobb/Holy Right Hand of Hungary’s first King St. Stephen (969 – 1038) can be seen in a chapel to the right of the main altar. Admission: full price: 600 HUF, students, retirees: 500 HUF.